​Alan Marshall apparently had always wanted to be a writer. Reading his autobiographical novels he shows a man of great patience. Not just in his style of writing but in how he published. It intrigues me how in Australia’s short history the landscape of publishing has changed enormously, as it has globally. 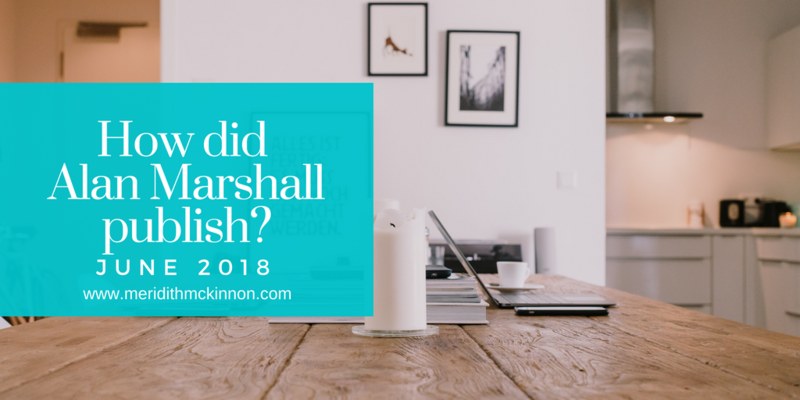 From the days of publishing Marshall’s perhaps most known novel, I can Jump Puddles, in 1955 we can sum up the now three main pathways to publishing. 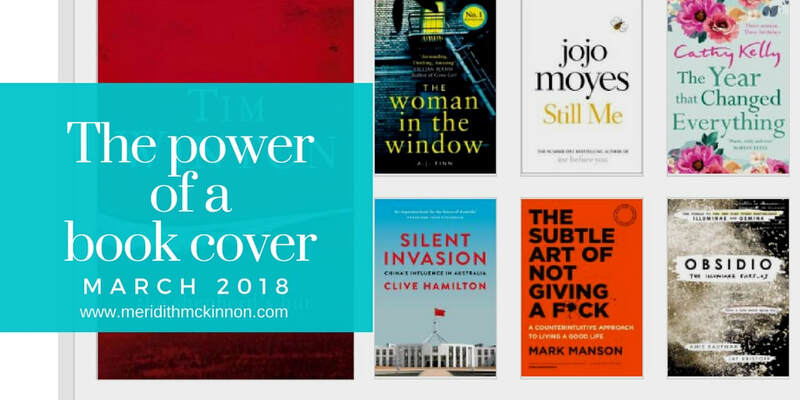 Don’t underestimate the power of your book cover. In the day and age of recycling, I curse the sight of over-packaging, excess wrapping and enticingly looking marketed goods, but there is still one packaged item I love – a book. I’m not talking about the way it’s delivered or wrapped in the store, but it’s cover, the package that wraps it forever, binds it and gives it a home. The dust of the festive season has settled. Even though the dust has well and truly settled from New Year until now, it seems some folks are still feeling the holiday spirit! 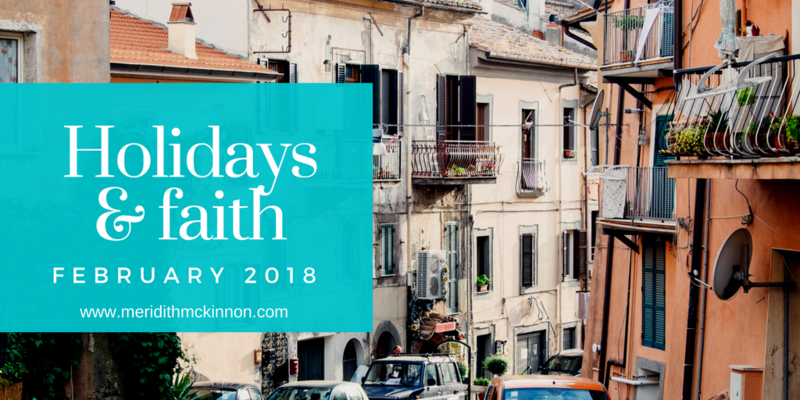 Most of us here is Oz tend to remain in Oz over the Christmas and New Year period – it’s our best weather for the year and definitely down south, you can’t beat our summer. Writing can be a bit challenging when the outdoors are beckoning me – the beaches are calling me and that southern ocean is magnificent! I’ve spent a month in Thailand and returned inspired for the next chapter in Lek Jaipong’s life! Writing book number two was always going to be a challenge. 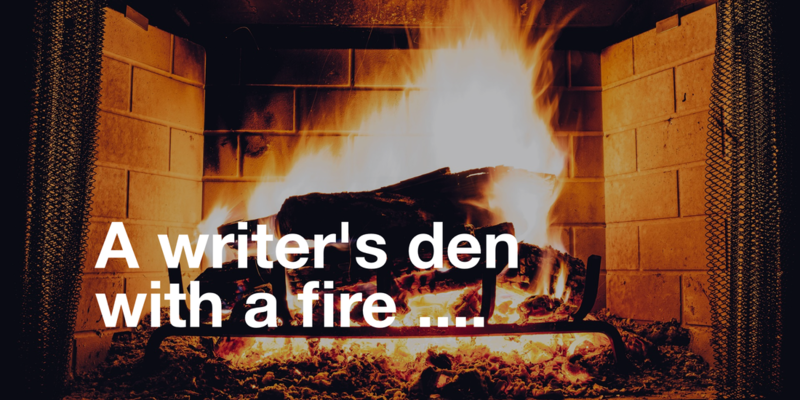 Everywhere I read, and I read a LOT about new authors, indie authors, published authors …. It screams at me the fact that the second novel can be the hardest. I’m beginning to realise this is true. But … back to my time in Thailand first! So you all know now that The Thai Wife was released in June this year. This was a story that had rumbled around in my head for a long time – maybe ten years – so when it came out (some writers call this the vomit draft!) it purged onto my laptop at lightning speed! That first draft is a bit of blur, as it rushed from my head to my fingers onto the key board and BANG! it was there! That first draft was so easy. ​Just to post about something completely unrelated to writing …. although travel is integral to my writing! Close friends will tell you I am a bit of a packing nerd. I love the process of packing – I take great pleasure in having luggage down to a minimum and being able to put a decent amount in my small bag. Gone are the days we’d travel with the huge suitcase! Thank god for that! So packing is my thing and here’s the thing – always pack twice. Pack for one week and what you wear for one week will suffice for a month ... or longer. Announcement!!! 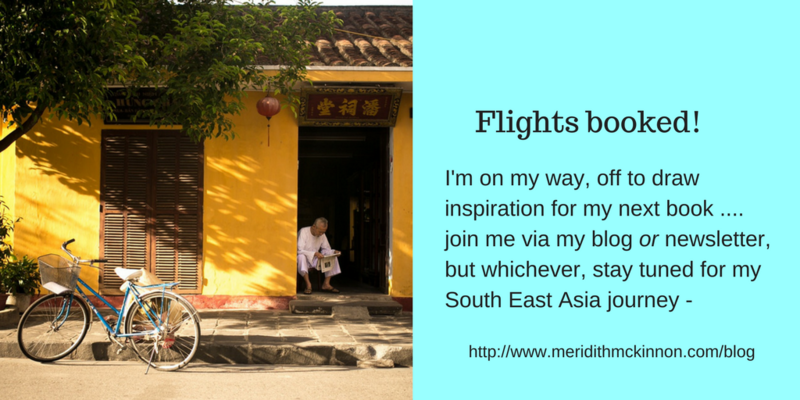 I’m off to South East Asia once more on research for my next book! As a sequel to TTW it’ll be inspirational for me to again retrace some of the parts that Lek came from but there will be more! I’m thrilled to be continuing her story and travelling to parts of the world I haven’t been previously. This sounds all very mysterious – hope so anyway! I know I‘m excited and as nervous as hell but the thought of not going to find this inspiration was never in question. ​So my flights are booked, most of the accommodation done and some internal travel yet to be locked in. 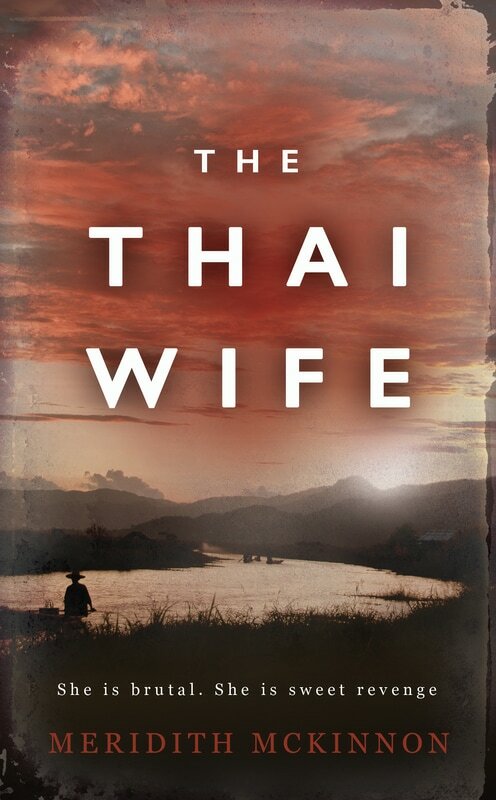 I may have mentioned that the final draft of The Thai Wife was written while I was in Southern Thailand. I made the trip specifically for this purpose as I knew I had to be there to finish it. ​The Apollo Bay Writers Festival recently presented me an opportunity to enter my short story S.S.Casino in the open category of the writer’s competition. It was short listed in the final twenty. 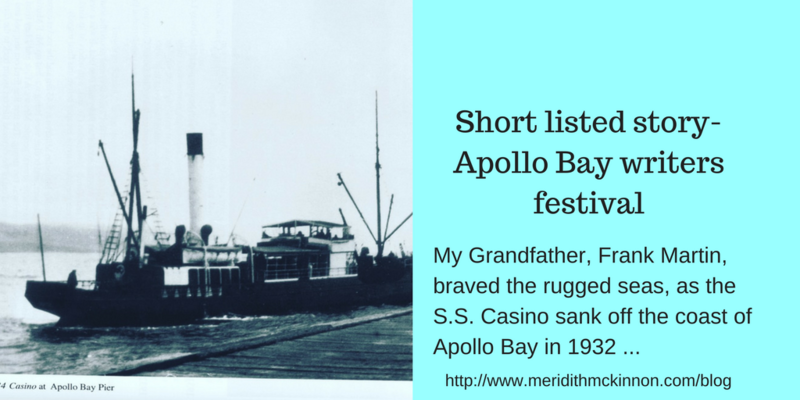 This story is about my Grandfather saving two men’s lives from a raging sea as their ship, the S.S. Casino, sank off the shores of Apollo Bay in 1932. It’s a story about an ordinary man and his family who did not hesitate to do the extraordinary on this day. It’s a story of amazing courage in an event of tragedy that I believe equates easily to acts of courage today in events of trauma and tragedy that are so very different to 1932. A testimony to mankind and modern bravery. The early morning wind greeted Frank as he struggled to secure his coat. Working dogs didn’t move from the warmth of their hessian floor, as they heard the back door slam shut. Grace had placed his boots by the wood stove overnight and his feet felt the coziness that lasted what seemed like only seconds. Down to the outhouse, he didn’t sit long for the wind blew fiercely through the gaps, and he fumbled pulling up his long johns and cursed his braces caught on the edge of the seat. Frank noted the crashing of the waves, knowing the south easterly had been blowing since yesterday, he sensed the tide was well in. Back along the footpath he headed for the milking shed, steadying himself at the gate to spot her huddled under the row of Cyprus. 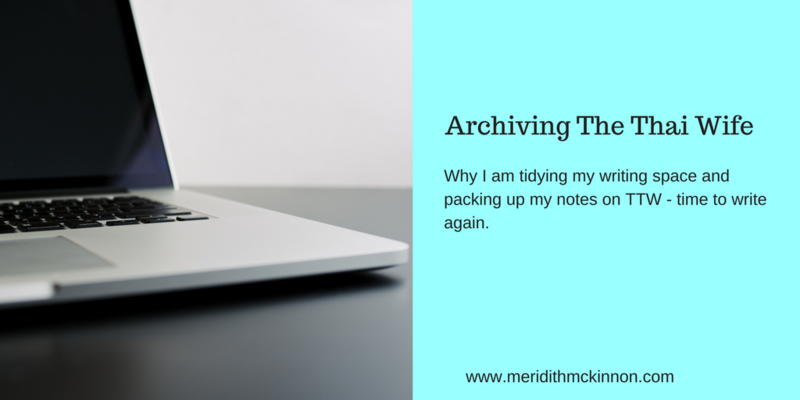 Far from putting TTW to bed – I mean, I am only one month into the release of my first ever published novel – but it is time to tidy my writing space and pack up my research to make way for my next book! I thought I’d go through a few questions that have been often asked during the launch of TTW. 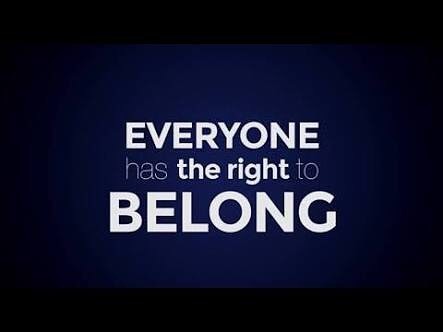 ​What would I do if I were born stateless? 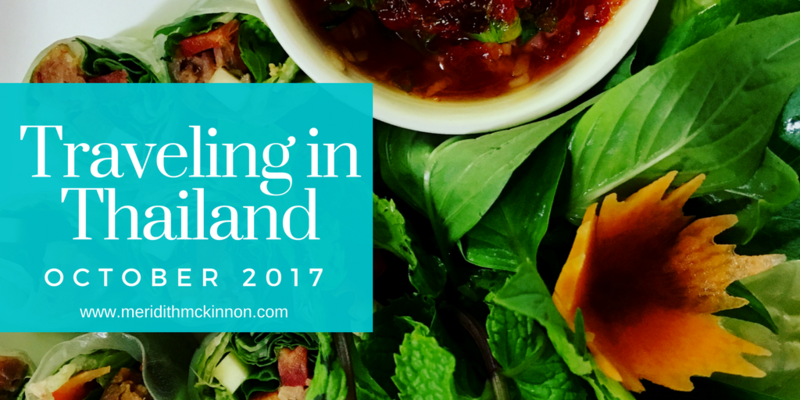 Does this answer why I wrote The Thai Wife? I risk being repetitive about why I wrote THE THAI WIFE but I feel I haven’t answered this question adequately. Bear with me one more time for those who have asked me this question and for the answer I may have given, I fear it’s not enough. So let’s try again. Copyright © 2018 Meridith Mckinnon | all rights reserved.